In today’s fast-paced world, finding time for self-care and reflection can be hard to come by. That’s why I’ve put together this Magical Moon Milk E-Book. 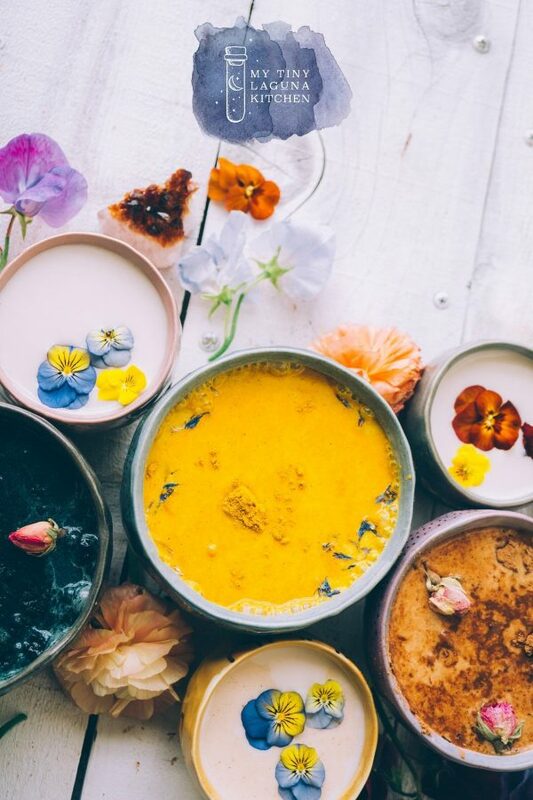 This 40 Page Recipe ebook contains 11 Magical Moon Milk Recipes, 10 of my favorite quick and easy homemade plant-based milk recipes and my favorite Quotes & Poems, Energy Cleansing Rituals, & Mood Lifting Affirmations. We also list the benefits of all of the Adaptogens, Superfoods, and Herbs included in the recipes. Think of your purchase of Magical Moon Milks EXTENDED Recipe Ebook as a direct donation to My Tiny Laguna Kitchen. Everything donated here will be put back into creating more content and right back into the blog. We very much appreciate your support, & wouldn’t be here without you. Anyone! All of the recipes are paleo, gluten-free, keto, but with a vegan, or refined sugar-free option. You really only need a milk frother or blender depending on your sweetener of choice. For example, you will need a blender if using dates to sweeten your Moon Milks. Are These Recipes Different Than The Free E-Book? YES! The 11 moon milk recipes and 10 homemade plant-based milk recipes are 100% new and have never been launched on my blog! Do I Have To Do The Rituals? The entire book is available for you to modify and do what fits your lifestyle! These recommendations are only there as guidelines to make enjoying the time for reflection and soothing the soul. Being an empath and highly sensitive person, I’ve always gravitated to making my own healing and grounding rituals, and Moon Milks in order to rebalance myself. Therefore, I wanted to share them with all of you or whoever may need the same medicine in their own life.